Removal of previous bathroom furniture, accessories and fittings. Replacement of floor and wall tiles. And since the professional bathroom fitters will be removing old stuff from your bathroom, you should tell them if you wish to keep some of the old bathroom furniture and accessories. 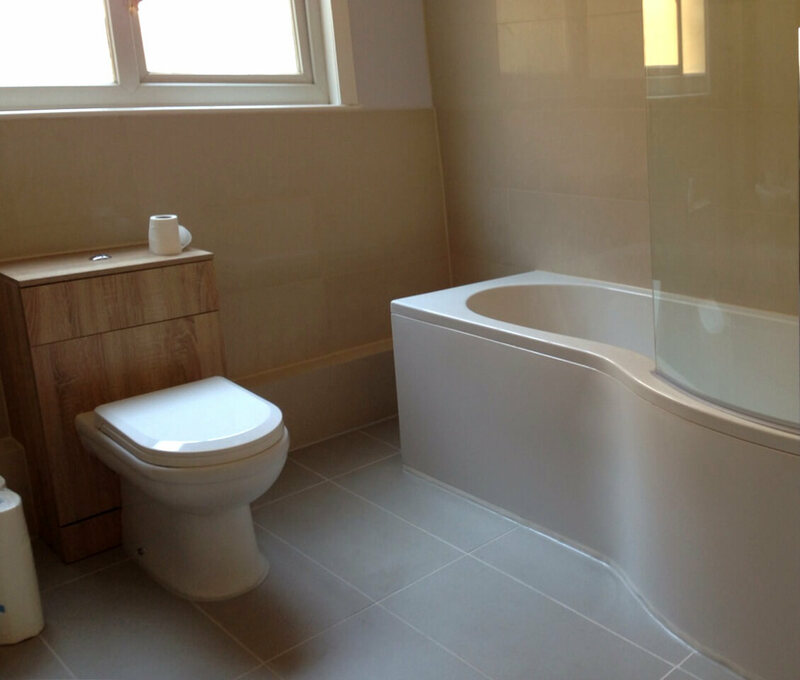 Order Your Bathroom Fitting Hanworth TW13 Service! Our local services are a great choice for homeowners and landlords who wish to renew their property. However, the bathroom fitters in Hanworth are useful operating in commercial environments as well. That is why you can get their services for public venues, bars, restaurants, and pubs as well. To book a service, you can give us a call on 020 3746 5384. Our polite customer care staff will provide you with any info you might need. Also, you can make your appointment online. Either start a live chat with one of our operatives or fill in the simple service request form with your request. Also, the bathroom fitters use a broad array of tools and equipment, and you can be sure that they know how to use it all properly. Keep in mind that we are able to provide you with all materials, furniture and accessories. And since we're partners with a respected UK home improvement retailer, it all comes at special bargain rates that sometimes even amount to a 20% discount! However, you can of course supply the bathroom furniture and accessories by yourself.